I am the owner of A Grounding Place, a Usui Reiki Master Teacher, Animal Reiki Practitioner, Integrative Wellness Coach, and Intuitive. I'm a mom, wife, volunteer, traveller, and pet owner. It wasn't until I was an adult that I realized I have always been an empath. As a child, I was particularly drawn to people and animals who were struggling. In fact, as a child I found it very difficult to watch movies portraying suffering or dying animals. I would go out of my way to befriend other kids who didn't have many friends. As I look back, I realize how much being an empath has shaped my life. Before transitioning to opening A Grounding Place, I enjoyed a career in higher education, where I started as an instructor in 2002. I held teaching positions at the University of Georgia, Rowan University, and Villanova University. I thoroughly enjoyed my time as an instructor, and when I look back I realize my favorite moments were working one-on-one with students who were committed to learning and challenging themselves. I enjoyed watching them in their "a-ha" moments - those moments of true learning. In 2007 I felt pulled to adventure. I decided to accept a position teaching English in Japan. I spent six months teaching adults, business leaders, and children, but I'm confident I was the one who learned the most. I learned about myself, my limitations and my passions. 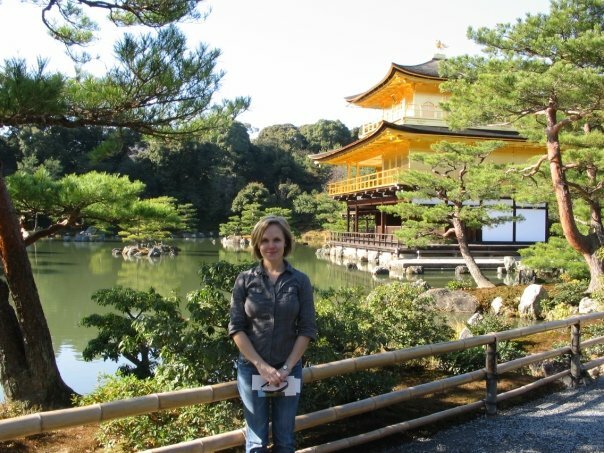 I was ready for a larger challenge, so when I returned from Japan, I accepted a position in higher education where I was able to assist students in transitioning to college. Subsequently, from 2010 to 2017, I held several educational leadership positions. Most recently, I directed a small Massage Therapy school. It was a job I truly loved because I was able to work one-on-one with my team as well as students. However, after working in higher education for fifteen years, I was hungry for a spiritual awakening and major energetic shift. During my role at the massage school, I was lucky enough to be guided to an amazing Reiki Master Teacher and immersed myself in her classes. After my Level I Attunement, I experienced the spiritual shift I was craving and began to see the world anew. I started respecting my mind, body and spirit in a new way. I started making smarter choices and prioritizing my own wellness. I sought more training in Coaching, Wellness, and other energy healing techniques. As I looked back, it became clear to me that my entire career involved helping others through transition - from high school to college student, from adult worker to adult learner, from an average teacher to a stellar teacher, and so on. I lived my passion for challenging and coaching others in every job I had. Once I had this realization, I understood that my purpose in life is to support others' transitions, and, more profoundly, assist others with their own transformation. Once I made the personal and spiritual commitment to facilitate healing in others, the universe started connecting me to my clients. Currently, my clientele spans four states and continues to grow. Some clients meet with me once every three months, and some speak with me on a weekly basis. There are some clients I've never met personally, and some clients I've known since childhood. I am truly honored to work with these amazing people, and I'm excited to welcome more people into my healing community.